Exceeding expectations, this innovative architect designed residence was constructed in 2011 and is located in the very heart of St Lucia. 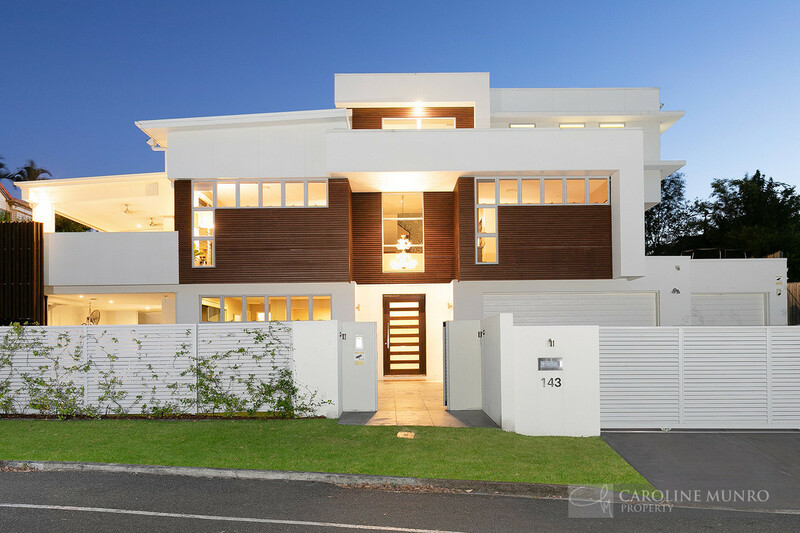 Situated on a substantial 1,006m2, this exceptional home embodies generous proportions and a versatile floor plan. 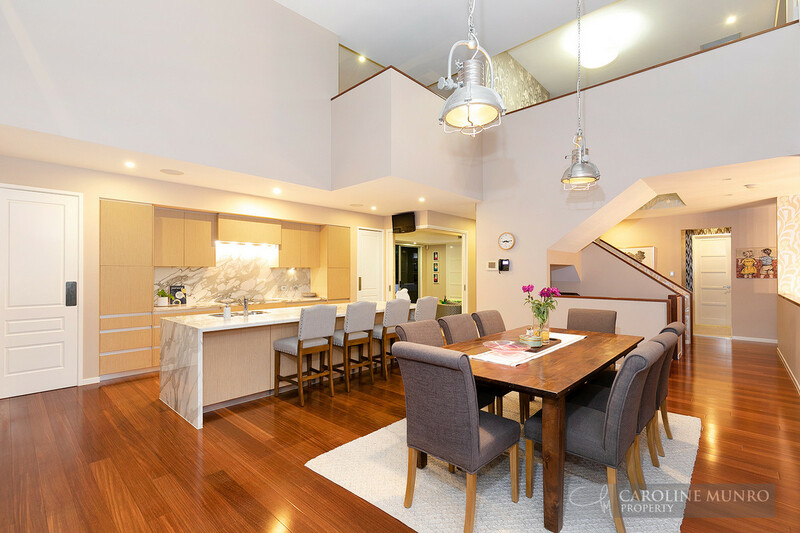 From its inception, this home was designed with attention to detail and quality in its construction and supreme finishes. Quality fixtures and finishes including a stunning Murano glass chandelier, zoned speakers, C-Bus automation and bespoke joinery enhance the calibre of this property. 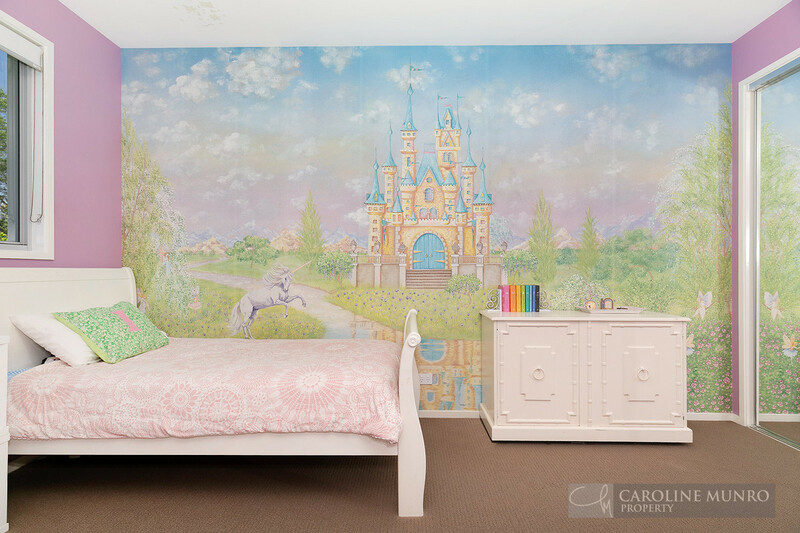 Extensive planning was also devoted to the home’s interior design. The neutral palette creates a harmonious flow with bursts of colour from textured wallpaper and soft furnishings, selected especially for this property by award winning interior designer Anna Spiro. The second level features multiple expansive living areas and an extravagant gourmet kitchen with extra large Calacatta marble island bench and butler’s pantry. No expense has been spared installing state-of-the-art Miele appliances including integrated dishwasher, oversized oven and induction cooktop, making entertaining effortless and pleasurable. A dumbwaiter connects from the garage to the kitchen. Bespoke timber cabinetry proves textural interest and a sense of contemporary opulence. 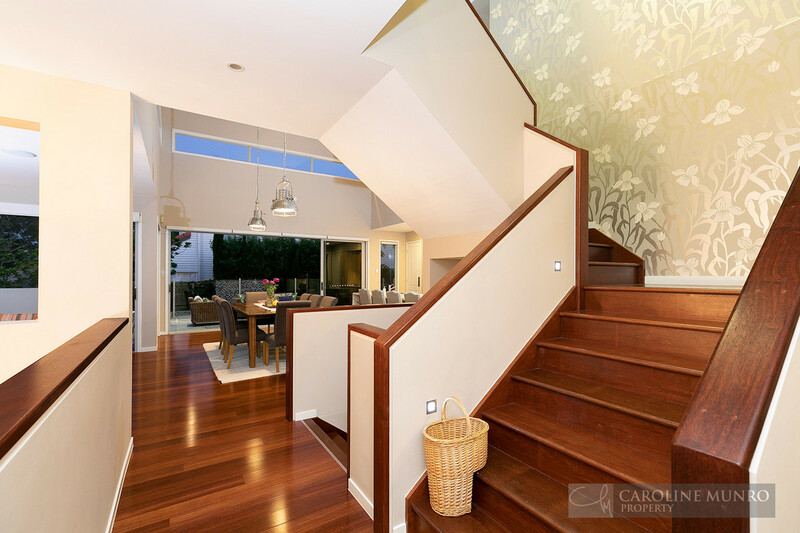 The kitchen adjoins the dining and casual living rooms, creating exceptional family functionality. 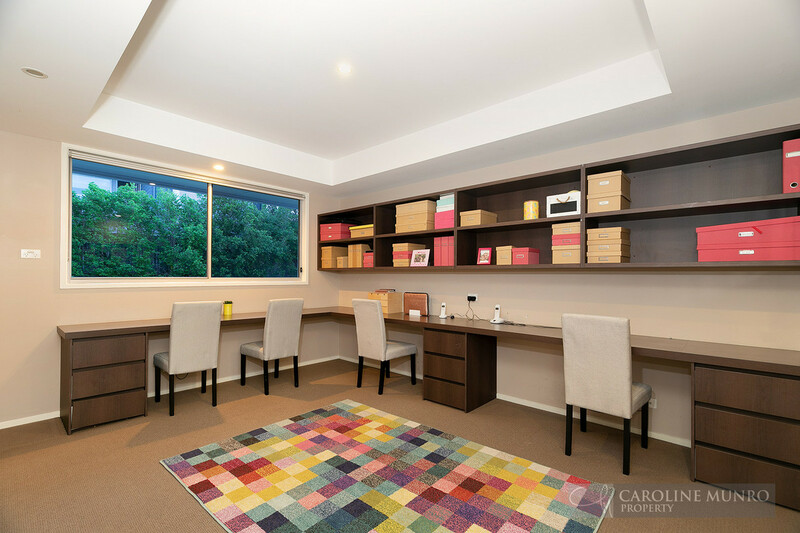 This level also features a comfortable formal living room, reading room and executive office with bespoke bookcases and desks. 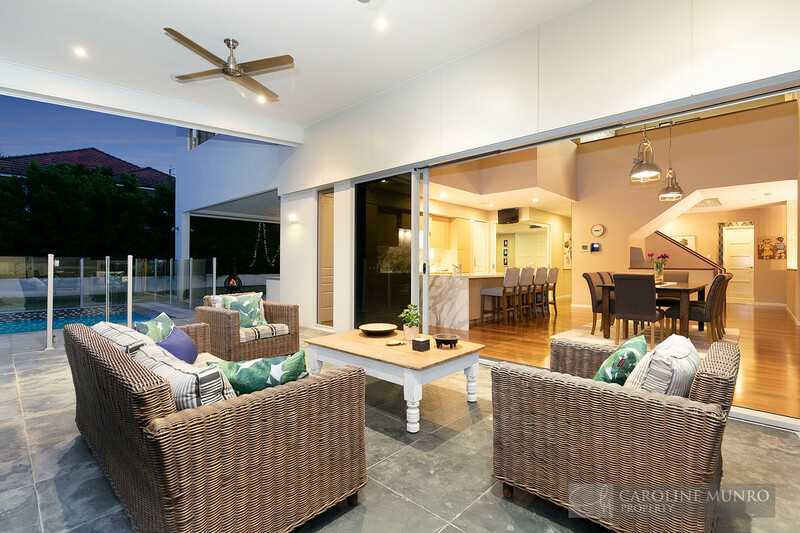 Ideal for entertaining, sliding glass doors connect the kitchen, dining and living rooms and a paved al fresco space adjacent to the in-ground salt water pool. 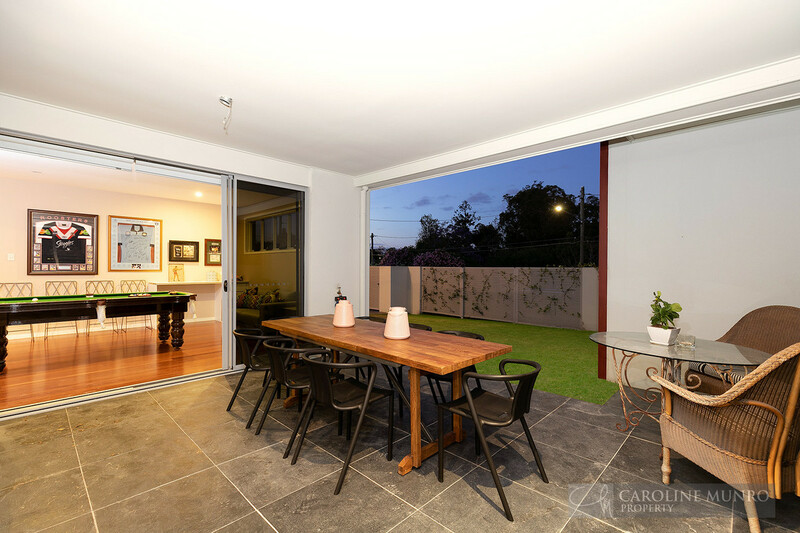 These outdoor spaces are covered and benefit from zoned speakers, clever lighting and fans. 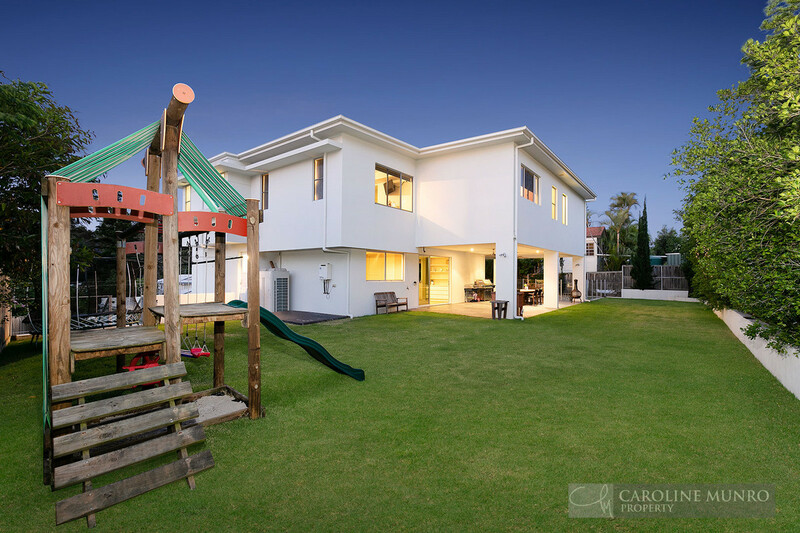 A generous flat, grassed backyard is flanked by mature hedging and is ideal for a young family. The private master suite is separated from the rest of the house behind impressive double doors. 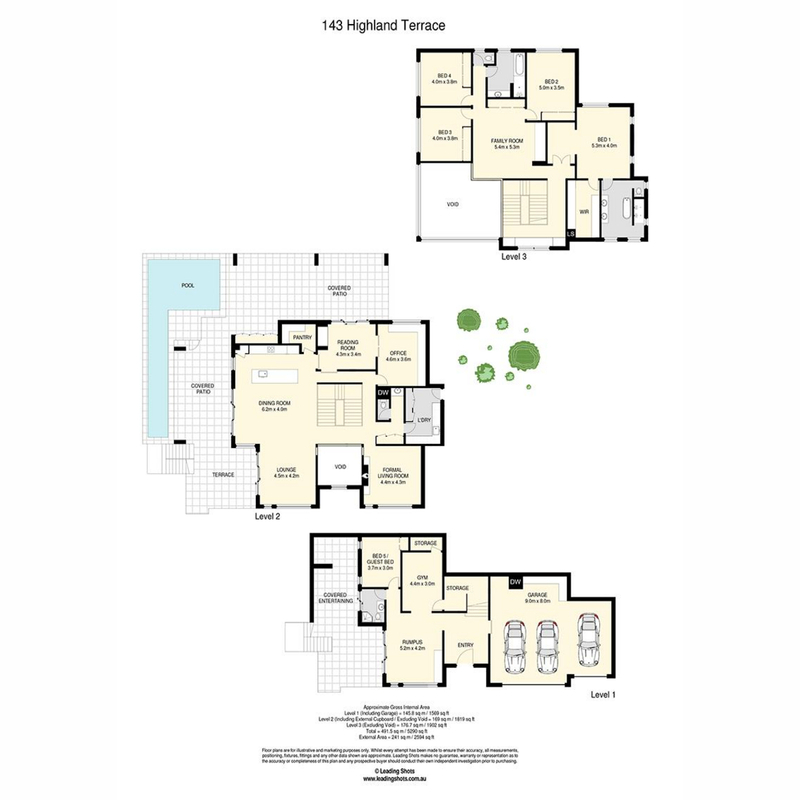 It offers a generous walk-in-wardrove and a luxuriously proportioned ensuite. Additionally, there are three bedrooms, all with built-in wardrobes, that share a spacious main bathroom, separate powder room and rumpus. 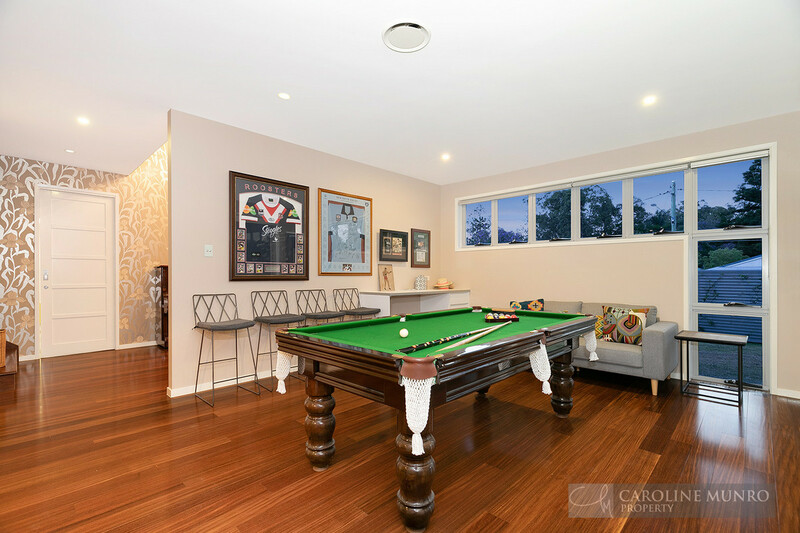 These rooms are intuitively linked to cater for a growing or extended family. 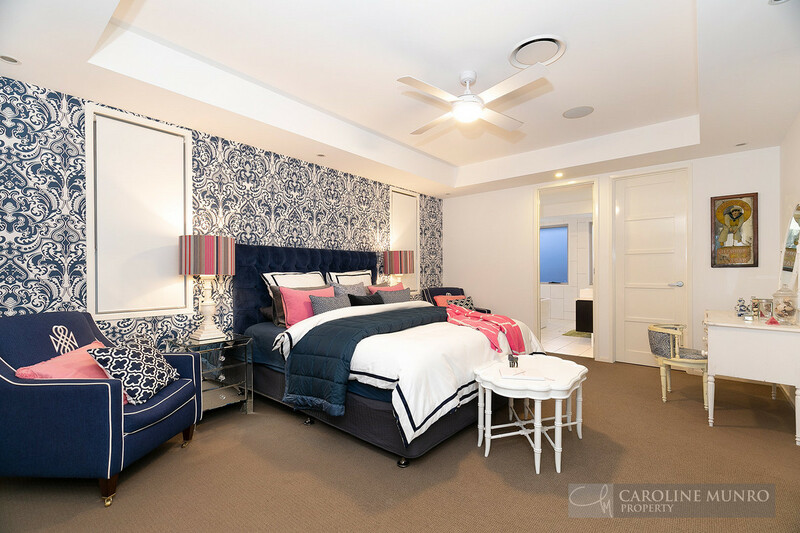 A fifth bedroom with ensuite is located on the ground floor, which also boasts its own oversized indoor/outdoor entertaining area and gym. 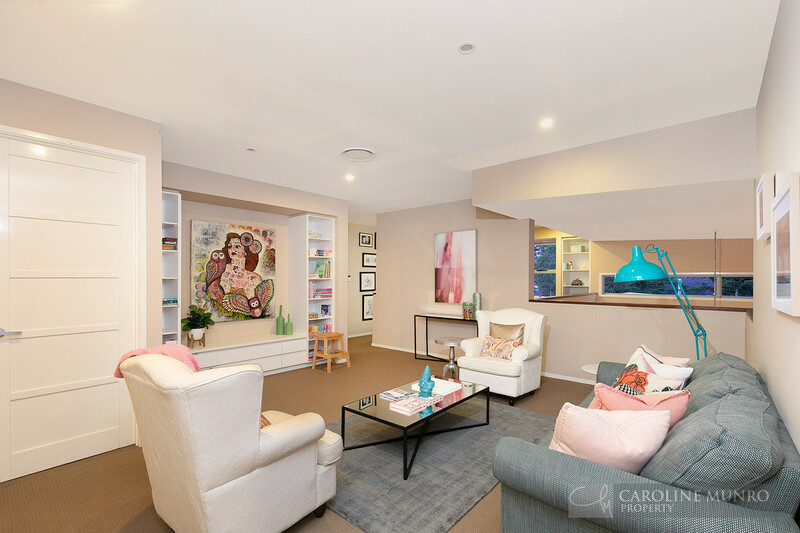 Highland Terrace is a quiet, leafy street and located in close proximity to the area’s most prestigious schools, including Ironside Primary School, St Peter’s Lutheran College and Indooroopilly State High. 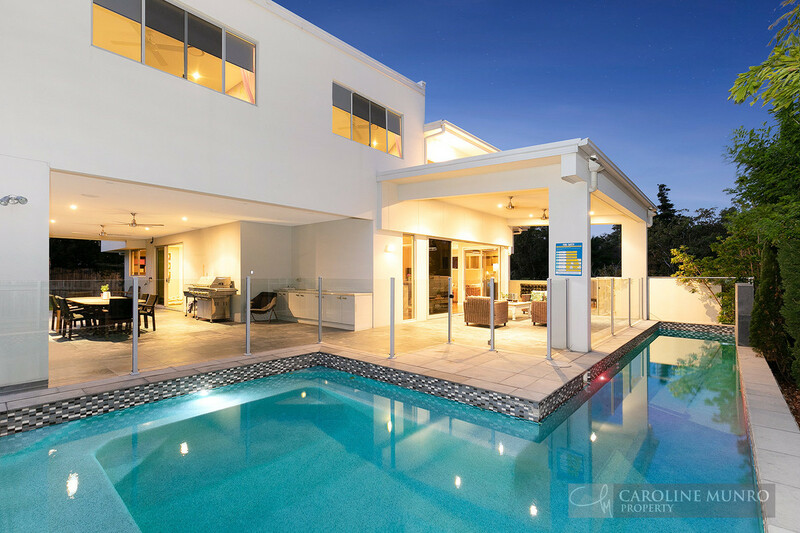 Located within walking distance to Ironside Primary School, The University of Queensland, restaurants and shopping. There is also easy access to public transport to the CBD.